Known for centuries for its healing properties, olive oil is rich with antioxidants and vitamin E, nutritional powerhouses that protect against age-accelerating free radicals. 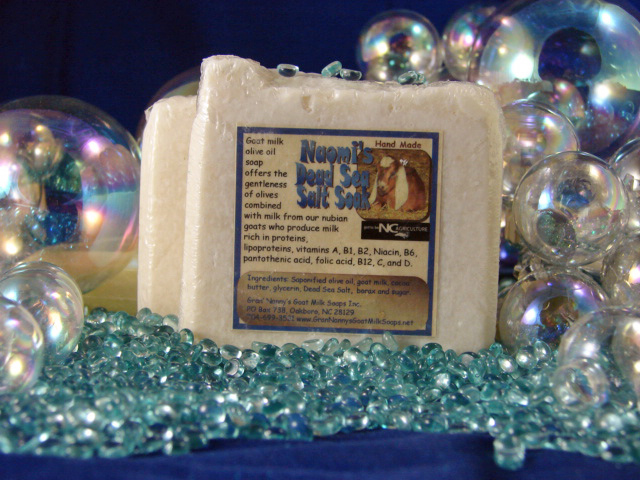 Our most gentle unscented soap, Nurture products are designed for newborn or elder skin care. The gentleness of olives combined with the richness of goat milk vitamins, minerals, and proteins leaves you with a pH balanced, creamy soap that moisturizes and enriches sensitive, dry baby smooth skin. All bars are sold by weight. These bars are $5.00 each. 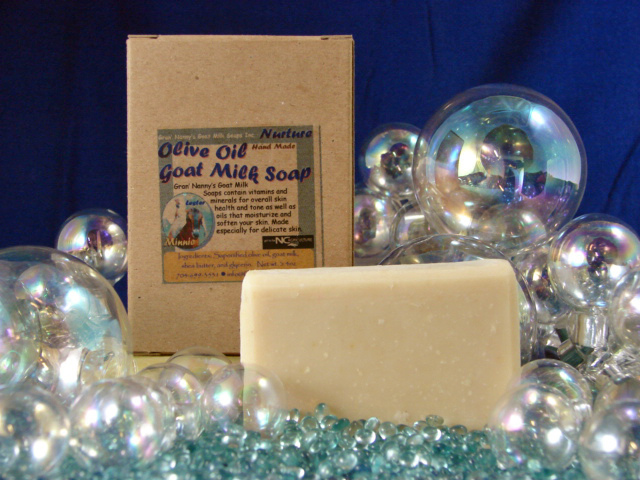 Goat Milk Olive Oil Soap: Unscented for super-delicate skin, this soap is perfect for dry, delicate skin. Made especially for babies and mature skin types. Dead Sea Salt Soak: Dead Sea Salt Soak soap begins with our most gentle olive oil foundation into which I have added salt from the Dead Sea, known for it’s minerals and soothing properties. Salt has been mixed throughout this product with a few crystals on top for exfoliation. Oatmeal, Honey, & Goat Milk Soap Bar: Oatmeal gently exfoliates your skin while honey, a humectant, attracts moisture to your skin. 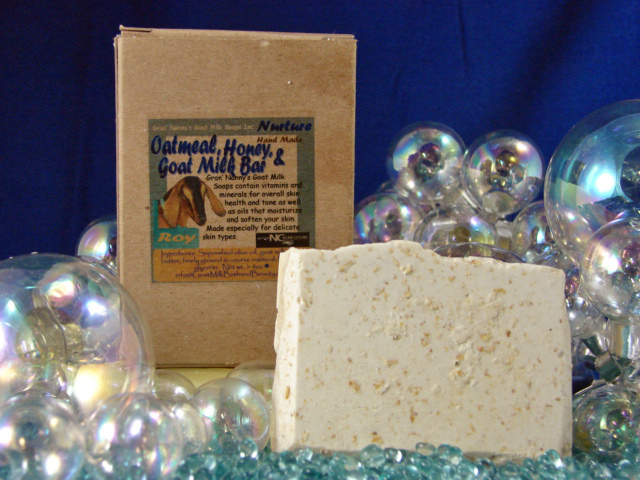 Combined with goat milk and olive oil, this milk bar is calming and soothing. I make all my soaps in small batches so I can closely monitor the chemistry, coloring, and design. Being an artist at heart I always experimenting with colors and shapes. So, most likely each batch will have something different from the last.